Authorities in the Russian Republic of Bashkortostan are taking part in an annual Wildlife project. Scientists will try to count every paw print on the winter snow to estimate the region's animal population. Scientists call this method “white track listing”. Local rangers can read paw prints and are able to tell a lot about the animals. Every print is copied onto a special registration card. This method takes time but the scientists claim, it is the only true way to count the population. Local specialists have been using this approach for over 30 years. ‘It is indeed a census. And we must take it seriously. A lot depends on it. All the data gathered and initial papers will be sent over to Moscow,’ Rif Kamolov, Haed of Committee, says. 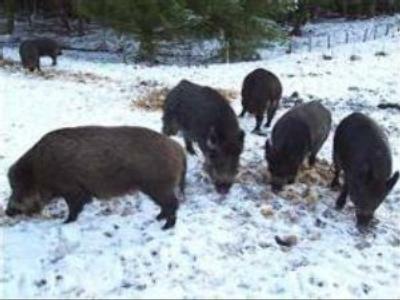 Specialists say that many animals in the region may not survive this winter due to lack of food. Therefore local people help by providing the needed nutrition. ‘Elks used to come to the village, and even roe deer, it wasn't easy life for them. But now their population is growing,’ Ilgiz Khababutdinov, Senior Expert, explains. Within the next few weeks more that 2000 animals paths will be followed and recorded. After that the data will be analysed. The whole procedure usually takes over a month. The results will show what lies behind this year's change in migration and breading patterns of the forests animals.